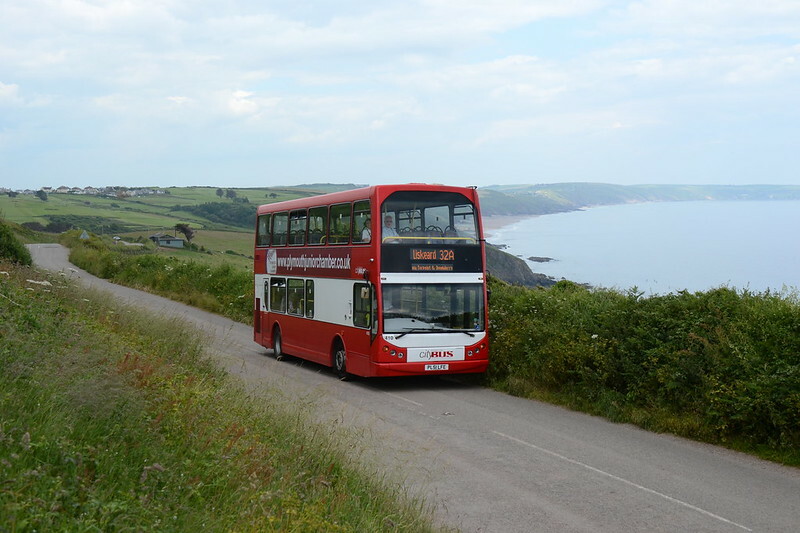 Peter Murnaghan has been on the new 32A and send these pictures..
"Living in Liskeard, I had long yearned for an excuse to take a bus ride along Whitsand Bay, but the minibuses have never really appealed. But, now with Plymouth Citybus running the 32A from Plymouth, across the ferry and back to my home town, I decided it was worth forsaking the quick train ride this time for the scenic bus ride. I was surprised to see the route in the hands of Volvo B7's, rather than short single deckers. 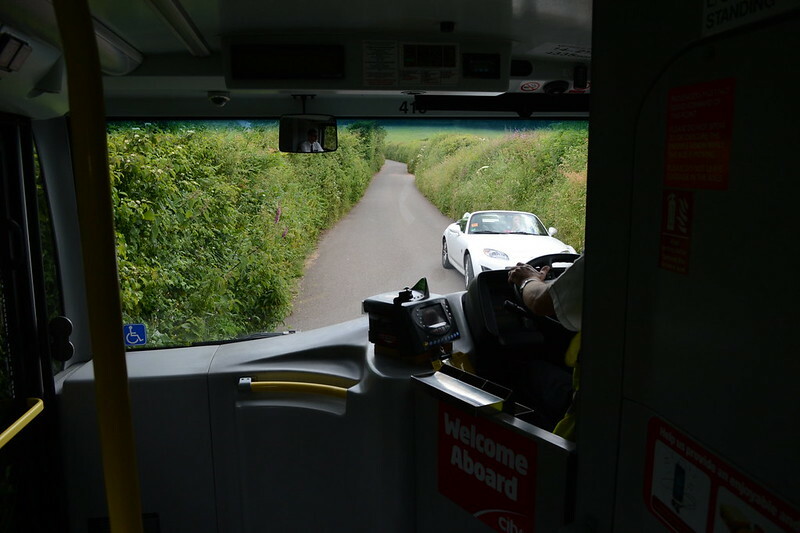 There were plenty of contacts with overhanging tree branches and encounters with other vehicles on the narrow Cornish lanes. 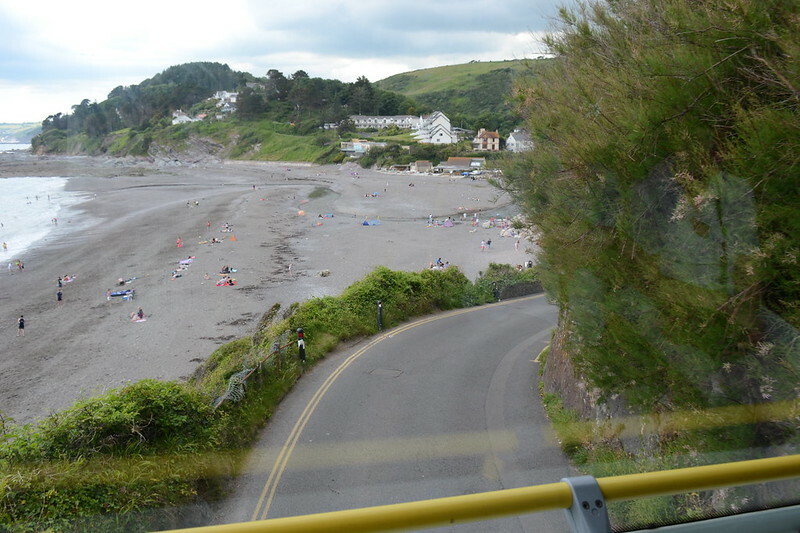 But, as a scenic experience, this route rates among the best in this part of the world for the moment. And at nearly 2 hours in length, a quick train journey back provides a bit of respite from the excitement. 5. Journey's end in Liskeard station yard. 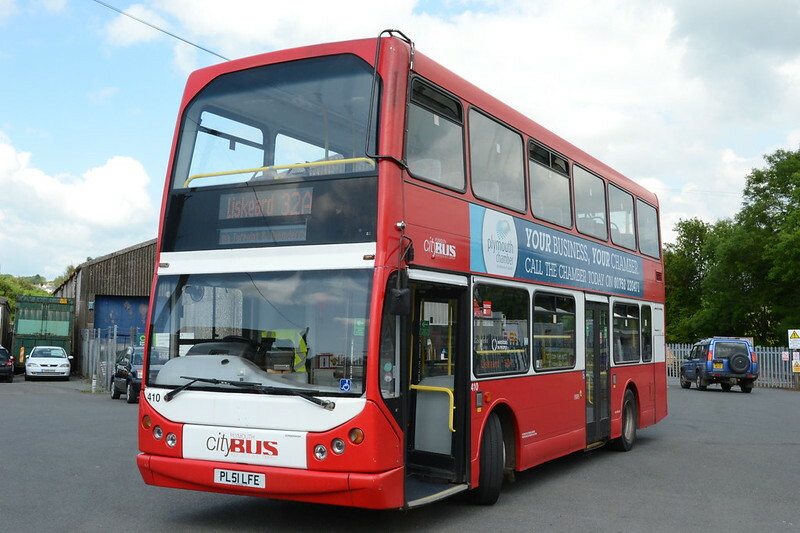 Council check: South Yorkshire Each week we rate how well a local council promoted the bus services in its area. This week, it's the turn of the four councils of South Yorkshire, who work together in transport matters through Travel South Yorkshire. Mega-Fire Closes Morecambe Prom! - But What's Happened to the Buses? the road layout in central Morecambe is quite complex and it is by no means obvious (at least to The Man on the Lancaster Omnibus) what form the diversionary routes are taking. fbb Was Invited, but Didn't Go ... [part 1] However they are presented, these services are very popular with Joe Public; indeed, York is one of the few Cities where this sort of service is a huge success and has been expanded time and time again fbb Was Invited, but Didn't Go ... [part 2] The distance from the car park to the centre of York and back is about 7 miles, so the maximum number of trips possible without additional charge is, in theory, about a dozen. So "opportunity charging" will be necessary using the "electricity pump" as shown here. LEON DANIELS BattleBus On Thursday morning I was delighted to launch our 'newest' bus. But unlike the fleet of New Routemasters currently joining the fleet, this 'new' bus is 100 years old. Crossrail 2 changed following consultation Mayor of London Boris Johnson said: "We know there's huge appetite from passengers and from business to get this project off the ground and as we take the hugely important step in fine-tuning the potential route, we're genuinely keen to hear people's views." I would say hurry up if you want to use it as I don't think Citybus will last long here. 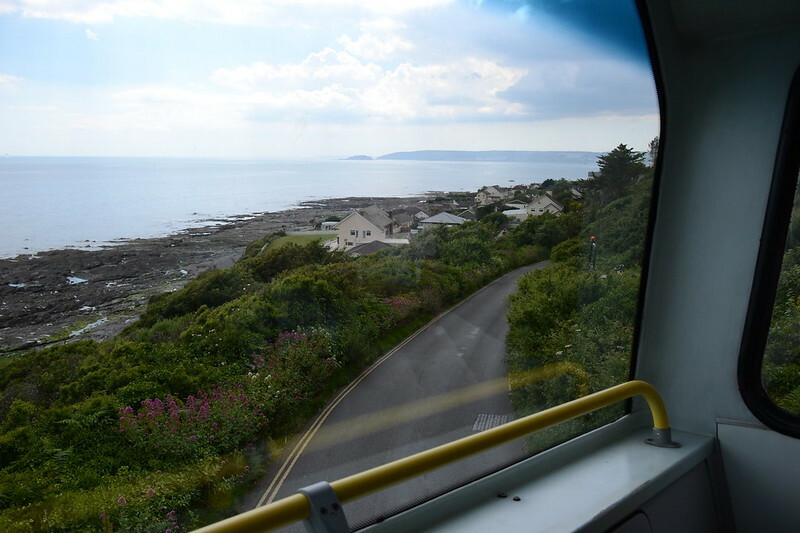 The council in Cornwall will see it's underused and the route will revert back to as it was under First and not go through to Liskeard by next summer. Does anyone know if the "Ride Cornwall" train and bus rover ticket is valid on the CityBus 32A from Plymouth? No it is valid on first 81 and 1 from torpount and saltash into Plymouth only. No it is not. Ride Cornwall can I believe be used on First Devon service 81 from Torpoint area into Plymouth and First service 1 from saltash into Plymouth. I believe Western Greyhound may also accept these on their 576 into Plymouth.